LINKS to other interested QUEEN related pages. GREAT review page of bootleg releasing. Click here. Great page with info about Queen concerts. Really a GREAT PAGE. Here you find info on known audience recorded and filmed concerts. Known Pro-filmed and recorded concerts is also listed. Recommended page. from this page. Canadian production. One of the best page for concert information. Full information about live tape recordings. GREAT PAGE. Great fan page with downloads etc. Queen collectors page. Many cdr recordings. Officially homepage of Queen production. All NEWS about the band, releasing, tour etc. Also DOWNLOADS and sale page. 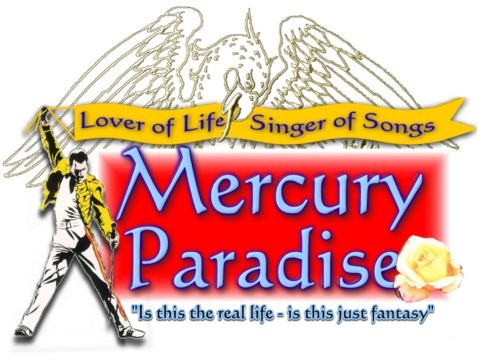 Home page of QUEEN + Paul Rodgers Info of all you need to know. DOWNLOADS and sale page. All and everything happen around BRIAN MAY. The Officially & International FAN CLUB. Info about band & conventions. + much more. QUEENZONE Meeting place for fans. Downloads + much more. Interested page. Updated info. 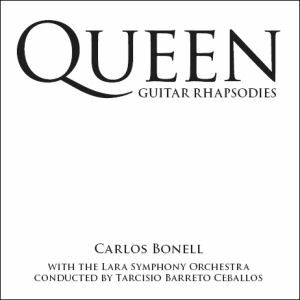 Carlos has recorded 17 Queen songs, mainly from the 70's era along with the Lara Symphony Orchestra and choir from Venezuela although we are based in London. The album also carries an endorsement from Brian May for the track "Love of My Life" which he described as "absolutely exquisite".